In a sign of India’s growing prominence as a market for Amazon, its India MD, Amit Agarwal has found a place in CEO Jeff Bezos’ core team. Agarwal had led Amazon’s entry into India in 2014, and has overseen its expansion to become one of the top e-commerce players in the country. Agarwal holds degrees in Computer Science from IIT Kanpur and Stanford. He had joined Amazon in 1999 as a Software Engineer, and has risen through the ranks to become its India head. Agarwal joins Amazon’s senior leadership team called the S-team, which comprises of Amazon veterans who have a direct line to Bezos and play a crucial role in important decisions that the company makes. “Please join me in welcoming Amit to S-team. Amit and our India team are doing remarkable things. 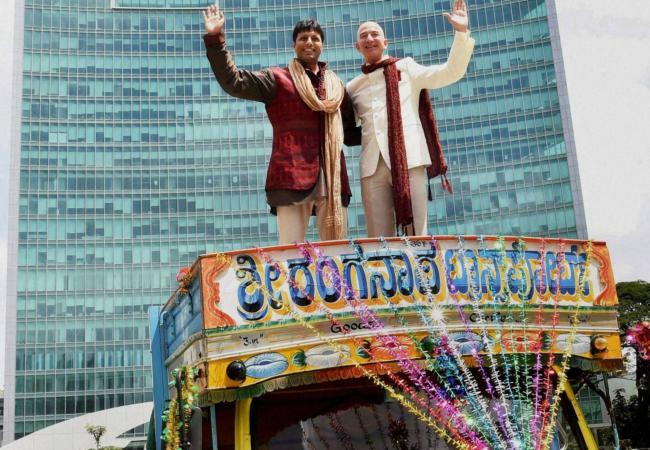 Amit and his experience in India will be a key resource for all of us on S-team as we work to figure out what it is to be a true global company,” Bezos had said in a mail to select employees. Agarwal will continue be based out of India and will attend Amazon meetings through teleconference. Amazon was a late entrant into India’s ecommerce market, having entered the country in 2013. Flipkart had started operations in 2007, and Snapdeal was founded in 2010. However, despite its late start, it had made rapid inroads in the space, and as of December 2015, was the most visited e-commerce site on desktops with 30 million visitors. Amazon is focussing on India and has a dedicated $2 billion warchest for its India operations. India is Amazon’s 2nd biggest investment market, and is poised to become its 2nd biggest market in a few years surpassing Germany and Japan. Amazon’s India push is doubly significant because in spite of its best efforts, it’s failed to make inroads into another big emerging economy, China.